Our great looking 2016 Chevrolet Equinox 1LT steps out in style in Silver Ice Metallic with the ideal blend of efficiency, space, and style. Motivated by a 2.4 Liter 4 Cylinder that generates 182hp while paired with a 6 Speed Automatic transmission that provides refinement and responsiveness for a pleasant drive you''ll look forward to each day. This Front Wheel Drive offers near 32mpg and turns heads with its alloy wheels, roof rack side rails, and automatic headlights. Inside our 1LT, feel instantly at ease and perpetually indulged with loads of legroom for optimal comfort. A 60/40-split second-row seat that slides and reclines, a touchscreen with MyLink interface, Bluetooth phone connectivity and integration, available WiFi, and an upgraded sound system with satellite radio are just a sampling of what awaits you in this well-appointed cabin. 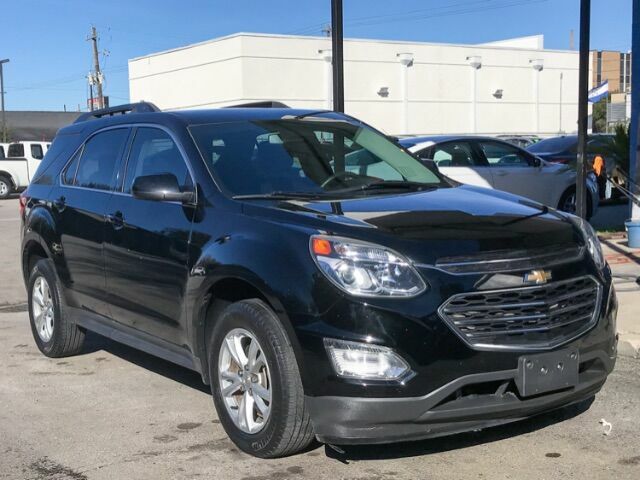 A top safety pick, our Chevrolet Equinox demonstrates a commitment to excellence with standard safety features as well as a steel safety cage, rearview camera, anti-lock disc brakes, and StabiliTrak to help you stay grounded in all sorts of road and weather conditions. Our Equinox is a spectacular choice for your transportation needs and is truly the complete package. Print this page and call us Now... We Know You Will Enjoy Your Test Drive Towards Ownership!